Are you thinking you misread the title of this week’s Woodson Wanderings post? 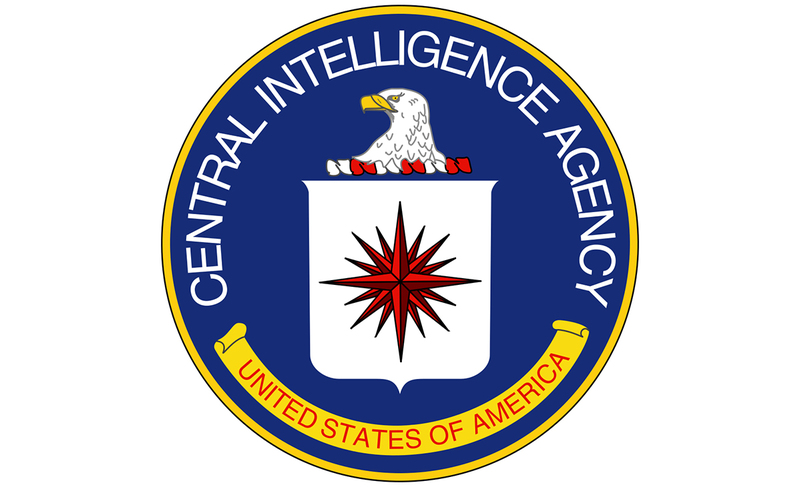 The CIA did, indeed, take over the Woodson Art Museum today; but not the Central Intelligence Agency. 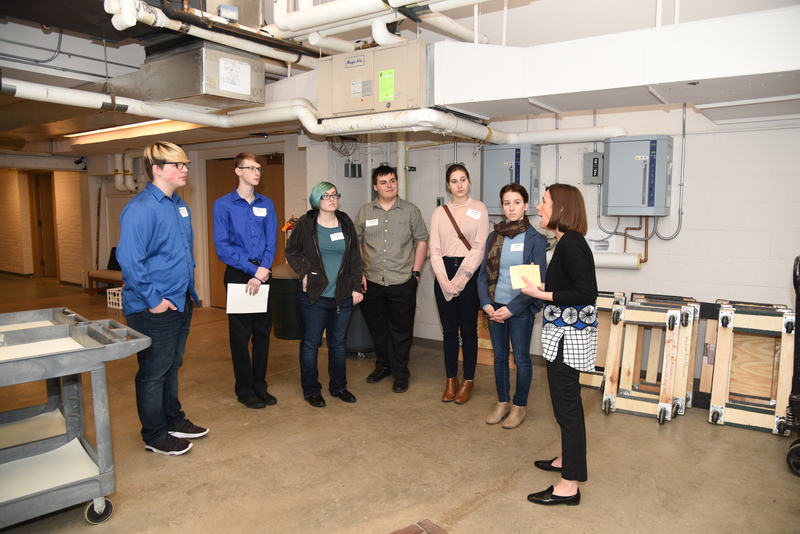 Today was the Mosinee School District’s Careers in Action Day and the Woodson Art Museum once again welcomed high school juniors interested in exploring museum careers. 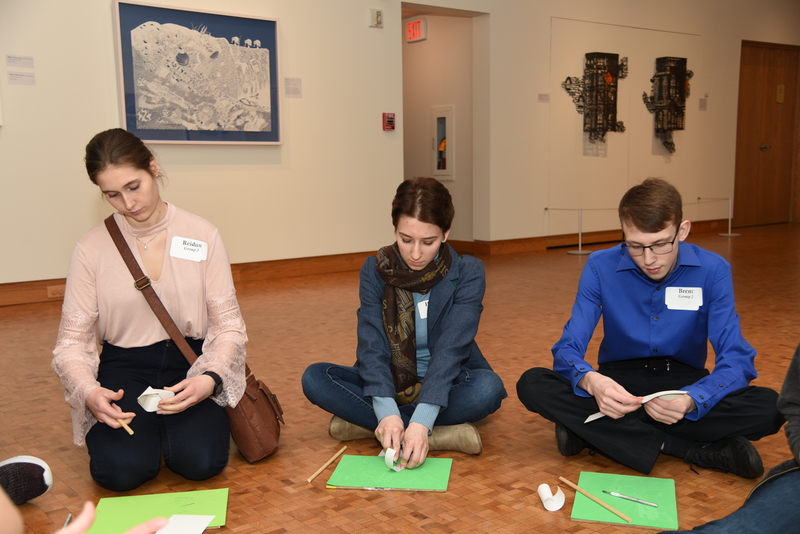 The eleven students, who spent the day with Museum staff members, viewed current exhibitions – Cut Up/Cut Out, In Touch with Art, Regal Bearing, and A Collection Medley, experienced hands-on art making, and explored behind the scenes. Being introduced to what takes place behind closed doors – on the loading dock, in the workshop, and in collection storage vaults – typically generates the “who knew” responses that trigger career thought processes. Students are surprised to learn that construction and fine carpentry skills are frequently put to work at the Art Museum. Similarly, matting and framing, writing and editing, gardening and building maintenance, and a range of accounting and financial skills are essential to the day-to-day operation of a museum. While an interest in the visual arts and art-making skills certainly lend themselves to work at an art museum, they are not requirements in a strict sense. 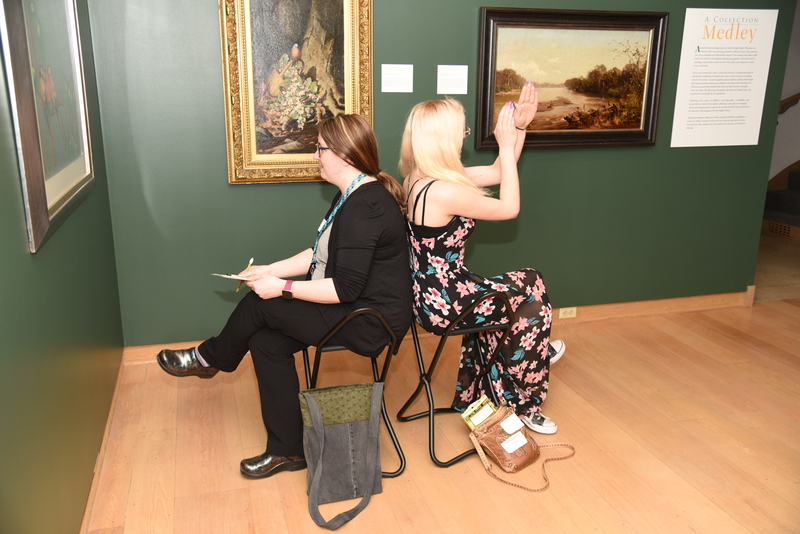 A desire to engage all visitors – from babies to older adults – in learning and appreciating the visual arts is, however, essential. We thank the Mosinee High School students who joined us today. If we piqued their curiosities about art museum work and suggested career opportunities that hadn’t been considered previously, we met our goals for CIA Day . . . and without any clandestine activities.